More and more fleet managers are reducing fleet emissions in support of corporate sustainability objectives. While today those objectives may be satisfied by selecting fuel-efficient gas, diesel and hybrid vehicles, tomorrow’s fleets may be partially, or entirely powered by electricity. How can a fleet manager meet today’s mandates, while preparing for the future? We can help. We can work with you today to design a selection of vehicles and option packages that meet your fuel-efficiency guidelines, while providing your drivers with the choice and flexibility that they demand. Hybrid vehicles are proven in some fleet applications, and costs are dropping. If you are evaluating hybrids for your fleet, talk to us. We can help you calculate the total lifecycle costs, taking into account fuel savings, reliability, cost of repair, expected resale prices, and other factors, so you can make an informed decision for your specific application. Some countries have announced plans to eliminate gas and diesel vehicles from their roads. Others are imposing sales quotas on manufactures to sell more electric vehicles. The message is clear: change is coming. 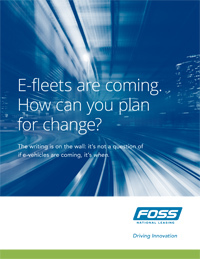 What will it mean for you and your fleet? Should you begin to plan for a hybrid or electric fleet? What will change? What applications are practical—today and in the near future—for electric vehicles? Sales? Light deliveries? Service fleets? Will companies need to install rechargers in their parking lots? Will employees need home rechargers? Who will pay for them, and how will employees be reimbursed for the electricity consumed? Let us know your plans and we will guide you to the most effective and practical solutions, for today and tomorrow, for your type of fleet, in your climate and your province. We manage your fleet, so you can manage your business.